Expressions of interest are invited for this established, profitable and growing yacht charter business, which was founded by its current owners in 2006, turning their passion for sailing and the sea into a successful business venture. Located on the Greek Island of Lefkas in the very popular Ionian Sea. The yacht charter operation provides extended bareboat or skippered charter in the Ionian area. The business is based on the Greek Island of Lefkas in Lefkas town. To the north is the open sea and the beautiful islands of Paxos and Corfu. To the south you can find what the Greeks call the inland sea, and its sheltered waters between the islands and the main land. There are so many wonderful islands to visit. Well equipped and fully licensed to meet Greek regulations. Accounts for 2011 and preceding years. Price includes three fully equipped charter vessels. Retirement. The current owners would be pleased to support and advise a buyer over this season or next to help maintain client base. The sale includes the company website. The site is well established with the search engines and has a first page result for the main keywords. Indeed most of the new clients arrive via the website. Having built a significant online presence for the business this is something that that could easily be expanded on by the new owners. Figures for the website activity will also be available. The business presents an ideal acquisition opportunity for an enthusiastic and ambitious first time owner-manager but would also provide a compelling proposition for an existing marine business seeking to expand capacity via acquiring an established operator in the region. Full support and training will be provided to ensure a smooth and successful transition of ownership, an early viewing is highly recommended. Location: Located on the the island of Lefkas and the boats are lying on the marina. The marina at Lefkas is only 20 mins from the local airport (Preveza). It is the ideal base to operate from, and always appreciated by the clients. A new owner will easily be able to continue to grow the client database. The current client base has been developed organically with very little traditional advertising used. The company currently has other vessels under an owner management scheme where they charter the vessels for other owners. This is proving to be popular and an easy route to future expansion should the new owners require. The market for yacht charter in the area is very vibrant. 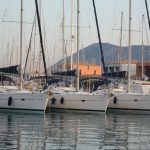 The immediate sailing ground is one of the most popular sailing grounds in the world and one of the most developed in the Mediterranean. The company offers something a little different to other larger companies. The boats are completely unbranded. 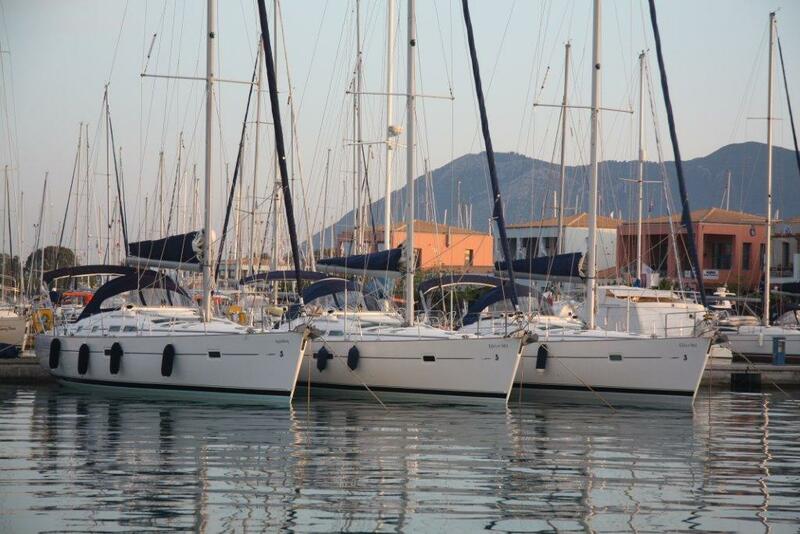 All the boats are in a very popular niche of the market. The vendors are retiring from the business. They will however be available to assist the new owners in all aspects of the business. Owner operated supported by part time cleaners and engineers when needed. The current owner has maintained and serviced the vessels rigorously. A local company is under contract to call out and assist in any breakdowns should they occur.